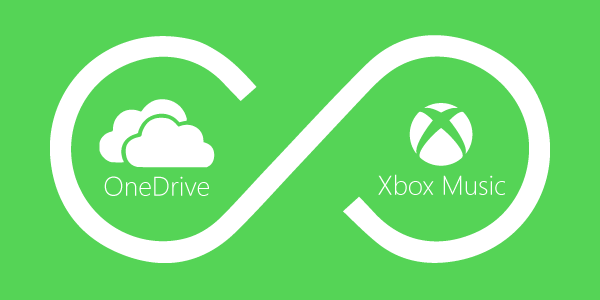 Microsoft has launched a new OneDrive and Xbox Music integration service called Infinity, which allows users to stream their OneDrive music files directly from the Xbox Music service. This is a free service and doesn’t require a paid Music Pass. This service will allow users to stream their local music tracks stored on OneDrive via the Xbox Music app on Windows 8.1 and Windows Phone, along with the Xbox 360 and Xbox One consoles and on the Xbox Music website. All you have to do is upload your MP3 music collection to the Music folder in OneDrive, open your Xbox Music app on your supported device and all your music will be available for your enjoyment. In addition to MP3 tracks, this new service also supports audio files in M4A (AAC), and WMA formats. You can currently add up to 50,000 songs to your collection. And if you are a Music Pass subscriber, you'll get 100GB of additional storage in OneDrive to save all the music you love. This service currently works only on PCs and tablets running Windows 8.1, phones running Windows Phone 8.1 and the Xbox 360 and Xbox One gaming console. Windows 8 users will have to get the free Windows 8.1 upgrade in order to take advantage of this feature. While Xbox Music is available for iOS and Android, this functionality won't be available across these platforms, even if you have an Xbox Music Pass. This service is currently available in following countries: Argentina, Australia, Austria, Belgium, Brazil, Canada, Denmark, Finland, France, Germany, Ireland, Italy, Mexico, Netherlands, New Zealand, Norway, Portugal, Spain, Sweden, Switzerland, United Kingdom, United States.